Entire system. Main unit with tip mounted. Standard USB Cable. Mains to standard USB voltage adaptor on the bottom right. This is an excellent design in term of electronics. The reason is that this unit has a relatively large range of power levels. The main good feature oft this unit is that not only it has 5 different power levels but the difference between the 5 power levels is very noticeable. This device even surpasses the most highly priced plasma device o the market in terms of power level flexibility, the Plexr. The lowest power level is even lower than the White Plexr and the highest power level is higher than the Red Plexr. The display of the unit shows the battery charge indicator and the 5 power levels. The unit fits perfectly in your hand like a normal thick pen and it is very easy to use with a high degree of precision. The entire unit is very easily help on your han. This allows ease of handling for most aesthetic applications. Detail of the USB port used to recharge the unit. The unit has an embedded lithium iron battery rechargeable using a USB port as shown in the picture above. This means that you can also use your normal PC port to connect the device and recharge the unit. However, if you whish, you can also use the dedicated USB plug adaptor provided or any other equivalent mains to USB adaptor which has the same PC USB voltage to recharge the embedded battery of the device. This an excellent feature that renders this unit extremely useful and handy, for example, if you lost the USB cable or mains to USB adaptor you can easily source one locally or on the Internet without contacting us. The auto power off is yet another extremely handy feature. after a few minutes of utilisation the unit powers off automatically, this means that the battery will not be discharged by accident if you forget to turn off the unit. Entire unit with the electrode inserted. The unit is very intuitive to use, however the following are provided your convenience in case you were in doubt. 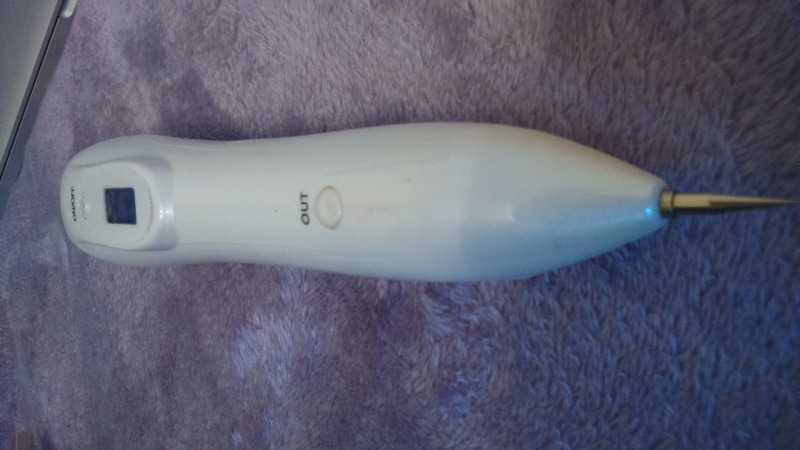 To switch on the unit hold the ON/OFF button for 3 seconds. Once the unit is on the display will light up and the battery status will show up on the dispaly. The default power level is 1 and the display will show one bar only, close to the battery status indicator. To increase the power level click the ON/OFF button and another bar will appear on the display. Repeat until you reach the top power level when the display shows 5 bars. When you require a low power again you can simply click/press the ON/OFF button while the display shows 5 bars to return to 1 bar. And so on. At any given power level you simply press the OUT button to power up the tip of the unit. 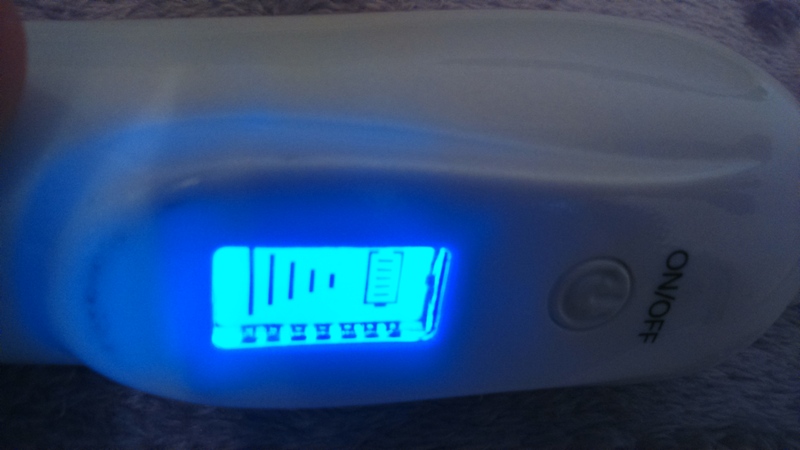 When the tip is active the LED display will flash. This is normal as per unit design. How to power off the unit. To power off the unit simply hold the ON/OFF for three seconds and the unit will power off. Alternatively after a period of inactivity the unit will power off automatically. How to recharge the unit.